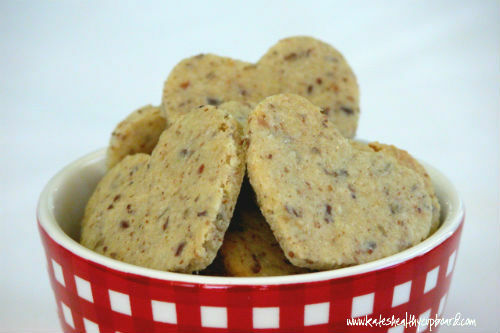 If you enjoy the Grain Free "Wheat" Crackers, you will also enjoy these slightly sweetened grain free crackers! I thought it would be cute to make heart shaped crackers for Valentine's Day, but these can be made into any shape a cookie cutter comes in or just plain squares. Making any of the cracker recipes into different shapes is a great idea for kids. These are a MUCH healthier option that goldfish! Enjoy!